For 13 years Gordon was an active member of The Bailies Council (fromSeptember 1997 to fromSeptember 2010) during this time period he was treasurer for 3 years and Senior Bailies for one year. All the carparks on Bennachie are very slippery due to ice, it is advisable to only use them if you have a 4x4. Due to the adverse weather conditions the workparty planned for saturday 4th december has been cancelled, the next workparty will be March 2011. In the sun looking across to Esson's Croft. photo by A Sutherland About 40 people recently attended this Bailies walk. 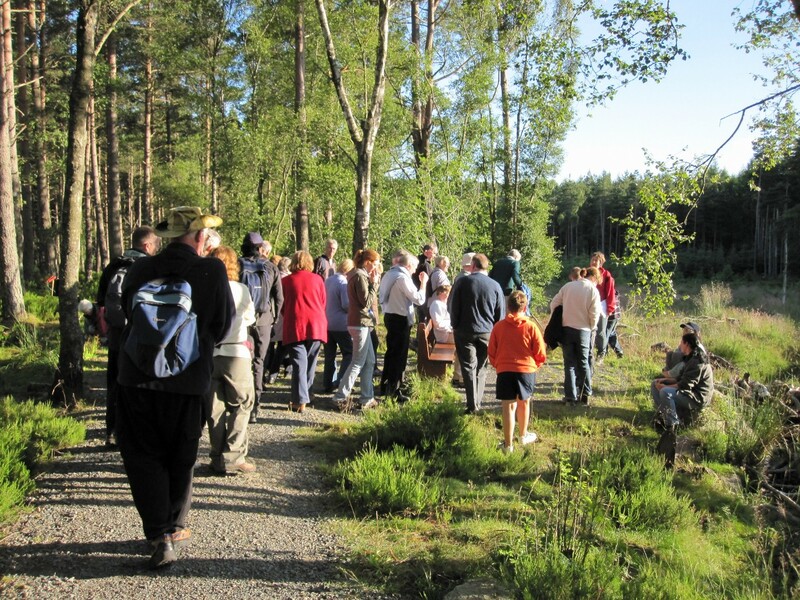 The party followed the "Colony trail" and looked at various remains on the ground of the Bennachie Colonists. 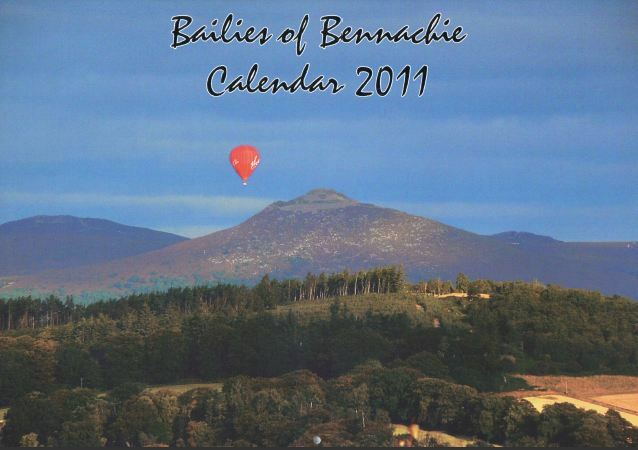 Our 2011 Calendar is now on sale, we would like to say a big Thank You to everyone who donated photographs for us to use, if you would like to purchase a calendar please download and complete the order form on our Publications page. We have published and distibuted our annual newsletter, if you would like to read it and find out what we have been doing over the last year click here. 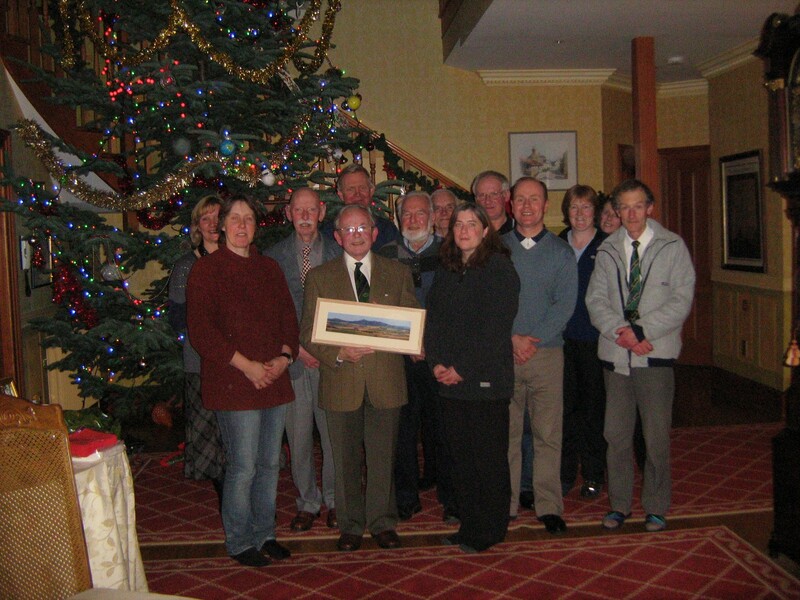 Last weekend, Saturday 22 May, Algy Watson a foundering member of the Bailies of Bennachie, which started in 1973, and an active member (including clerk and Senior Bailie) of the Bailies Council until 2007 died, he was 84 years old.